NZ Solar's new Sun-Catcher is the next GENERATION OF SOLAR WATER HEATING TECHNOLOGY! All NZ Solar hot water heating equipment is Tested to AS/NZS 2712:2007 and exceeds ISO 9001 standards. All NZ Solar hot water systems are built to NZ standards. All NZ Solar hot water systems can be configured to maximise the requirements of the customer. 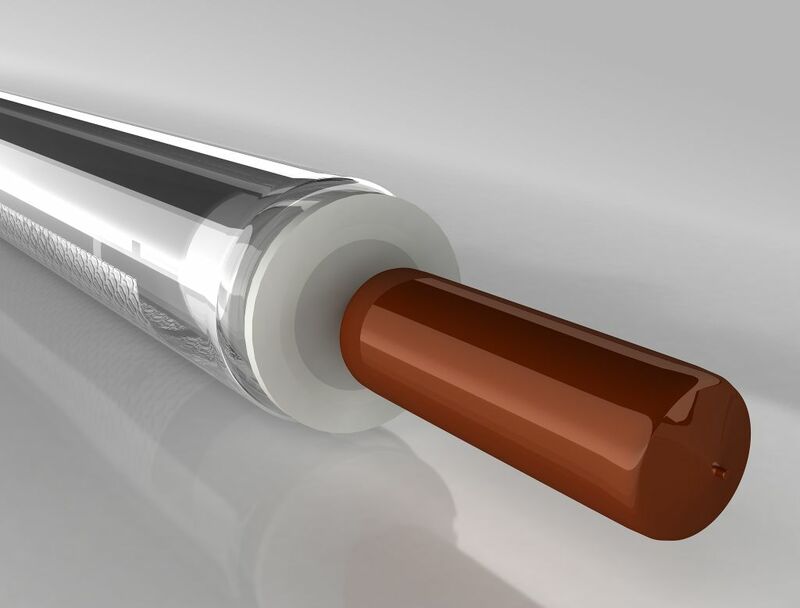 By using the glass evacuated tubes there is inbuilt flexibility in the design of your new system. The tubes can be configured in banks of 15, 20, 25, 30 or 40 etc giving total flexibility of power output and installation size. Due to the special thermal heat pipe and built in reflector inside a vacuum tube allowing for heat transfer the heater can dispense with the water feeding into the vacuum tube. All qualities that are, not only desirable, but absolutely necessary in New Zealand's extremely variable climate. The NZ Solar heating systems feature excellent thermal characteristics, high operating temperatures, all-weather application and very high reliability (tried and tested in good working order at temperatures as low as -50C). 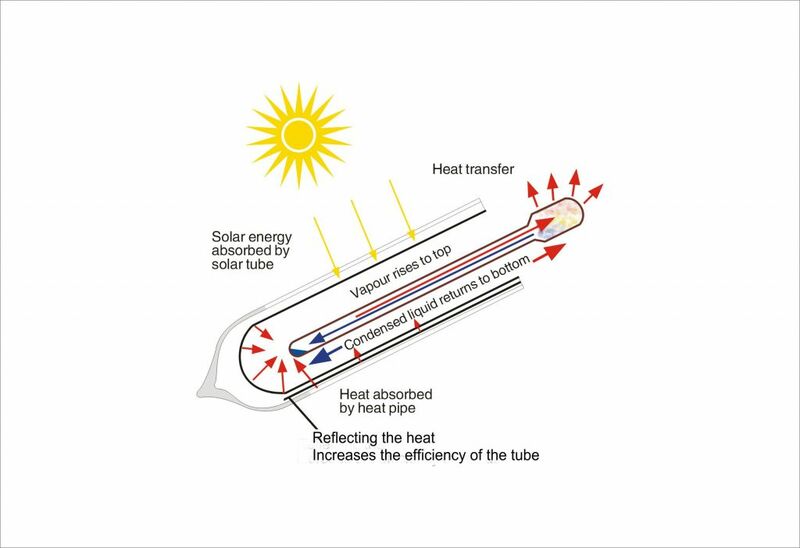 Glass evacuated tube solar water heaterUses AL-N/AL heat adsorption coating on the vacuum tubes; this provides high heat absorption with a low emission rate. The water inlet and outlet points are located at the lower parts of the water cylinder to reduce calorific loss. 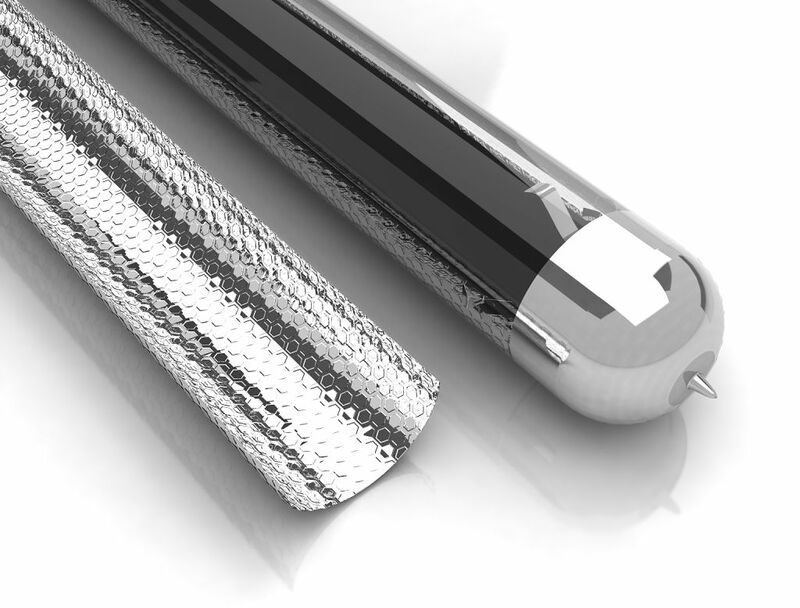 Superior all glass vacuum heat collection tubes. The inner body of the cylinder is SUS304 food grade stainless steel for corrosion resistance, longer life, non-pollution of the water...clean and hygienic. An Electronic controller is mounted at a convenient point within the house. This allows the homeowner to assess at a glance what the water heating system is doing. A microcomputer controls the water temperature bringing electricity to boost the solar system on days of continual unfavourable weather patterns. Enquire now for more information on the solar hot water system for you.